It’s Autumn and with it comes oh-halloween!!! There is something so special about Autumn. I wouldn’t say I love it more than summer, who loves anything more than summer but it’s such a great time of the year to celebrate. The scarves come out, the winter boots get dusted off, and the oven is baking away through the holidays. October also brings us carving pumpkins for the much celebrated Halloween! While I love Halloween it’s self, trick or treating, dressing the kids up and handing out candy, I also love carving pumpkins. We tend to carve quite a few pumpkins each year and with that comes a plethora of seeds to dispose of but wait don’t throw them in the trash. That’s just wasteful. 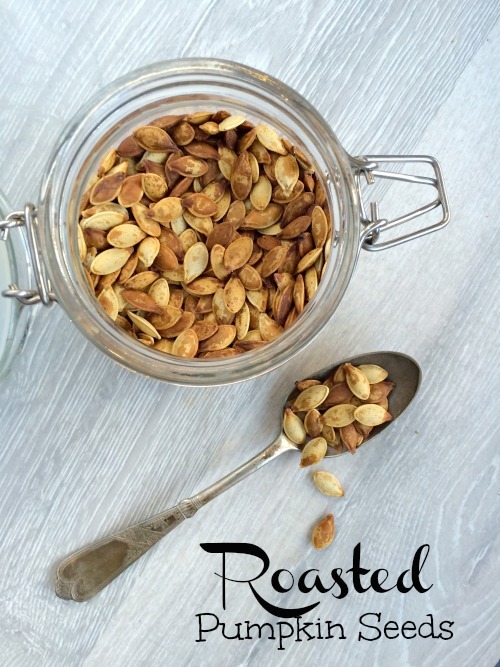 Why not try my simple roasted pumpkin seeds recipe below. They are crunchy, they are salty, and very delicious! I like my seeds salty and crunchy so I cook them a little longer and add the salt on top. Up to you! I like to keep mine in a tightly sealed jar so they last. 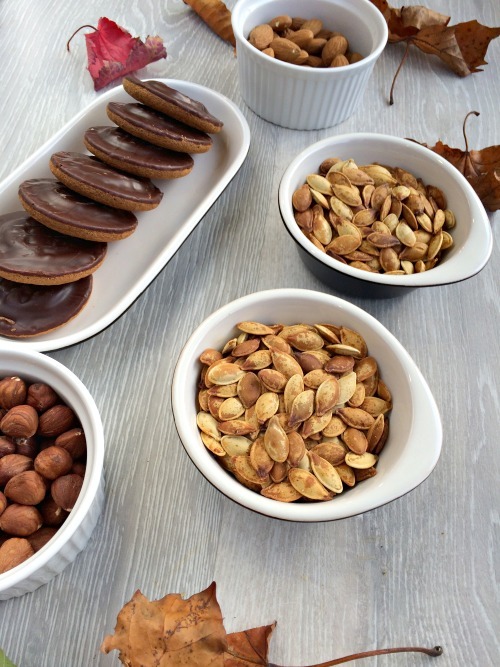 Then when you have guests over you can make a great tray of nibbles with them like I did below. If you like sunflower seeds you will love these. 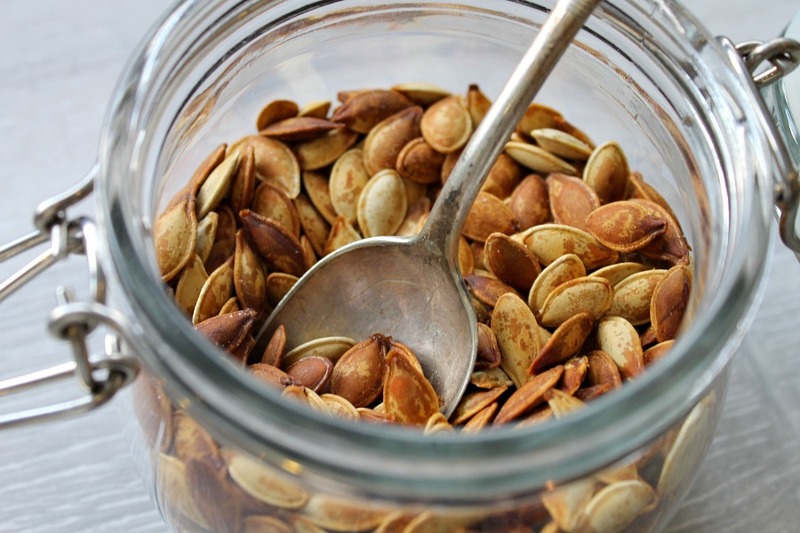 So while you are scraping out those pumpkins to carve, set aside those seeds and insides and make use of them later. The kids will love washing them and helping you bake them for a yummy treat after you are done carving. Or bag them up with some ribbon and give as gifts to friends and family and spread the holiday cheer! 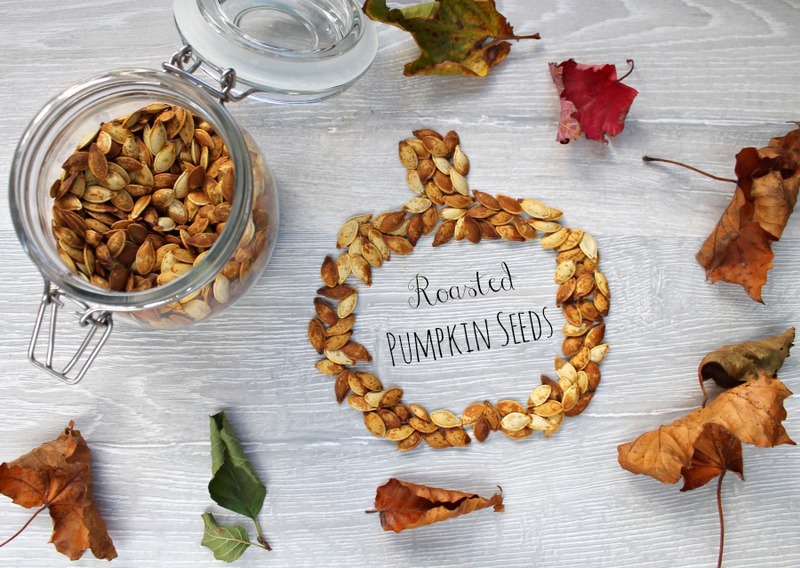 Want to know a trick for carving those fancy pumpkin characters for your kids click here…also enter to WIN Oxo Good Grips Fruit Scoop Set, which make it so easy to carve out your seeds! We carved Olaf & Doc McStuffins this year, what are you carving? Mmm they look yummy! I’m afraid to say our pumpkin seeds ended up scattered all over the patio, but when I carve the big one I’ll have to remember to save them! Oh yes I just throw them in a carrier bag while I am carving and put the bag in the sink for washing up later! lol Try them so yummy. Thanks for popping by Carie! Thanks I wasn’t sure if everyone would know that that’s what it’s supposed to be. I am no artist! lol hahaha Glad you like. Thanks for popping by and commenting hun. Yes do they are so yummy. I love them with some hot chocolate on the side. And its free basically because you would just be throwing them out. I was so excited to find foodie friday. Thanks for hosting. I hope to link up each week now. Great recipe too this week for you. Thanks lovely. 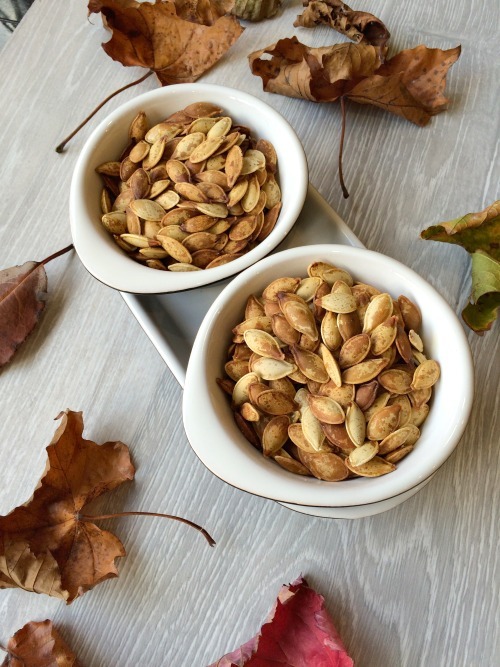 I always make pumpkin seeds after the carving too. So tasty, they’re usually gone in a day! I’d never thought of eating the seeds, shame on me! Will definitely try this, thanks Jenny. The photos are beautiful too. Thank you so much hun. 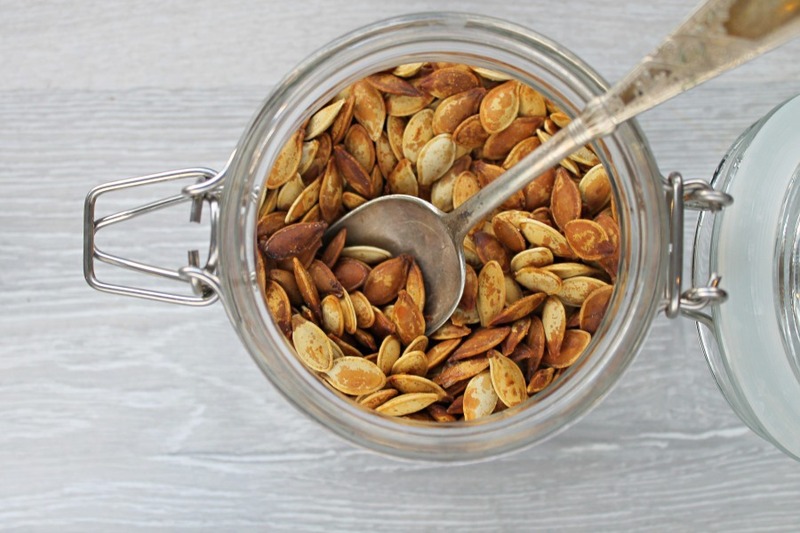 If you like salted sunflower seeds you are in for a real treat they are delicious. Pin my recipe and try them next year. You won’t be disappointed. And it saves on the waste. hahaha Happy Halloween. Thanks for hosting. Oh yes got to have see salt on them for sure. Thank you ever so much. Yes I am the same could eat them all day. So yummy. Followed your recipe for a late night snack. I made quite a mess washing them but I think next year I will get my daughter involved. They were yummy and look forward to trying some new toppings in the future. Your photos are amazing! Talented lady!